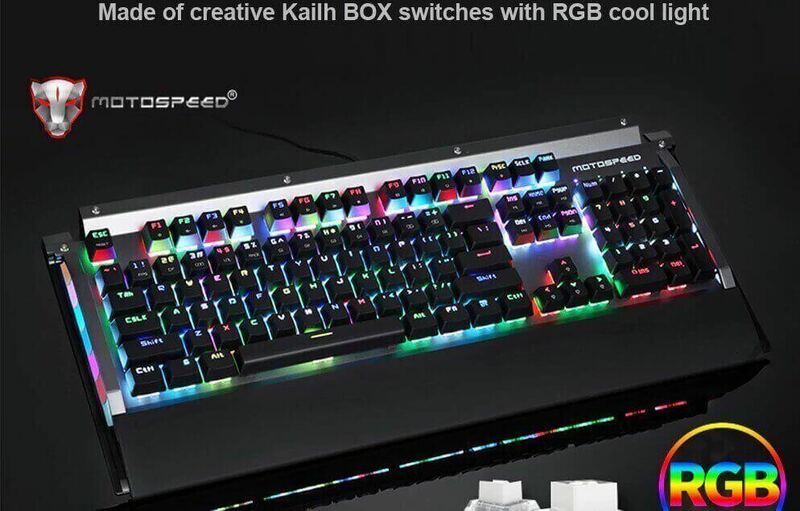 Keyboard Motospeed CK98 RGB: We all love new gadgets and new technology, today we are going to introduce an amazing keyboard which lit up amazing mechanics keys in whole different color, as the Kailh BOX switch for desktop and laptop keyboard. 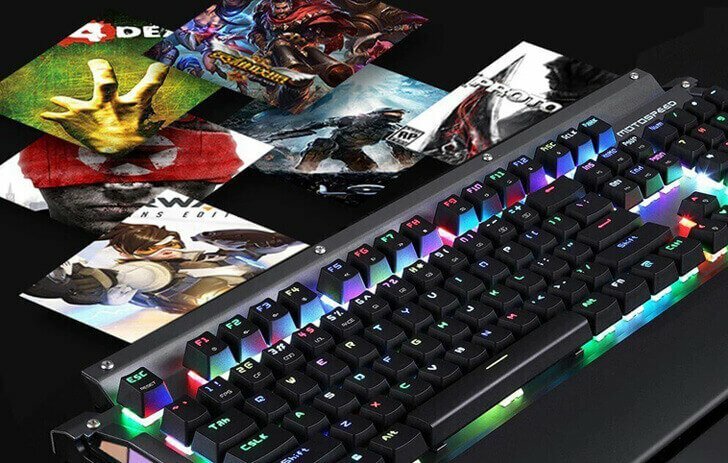 The keyboard Motospeed CK98 RGB is a gaming Mechanical keyboard with unlimited customization which has directly integrated within the keyboard, The Motospeed CK98 will release many different colors within a pressing a button. Motospeed CK98 also helps to provide alteration within the keyboard with a different color combination in an alarming way. Who can use this keyboard? 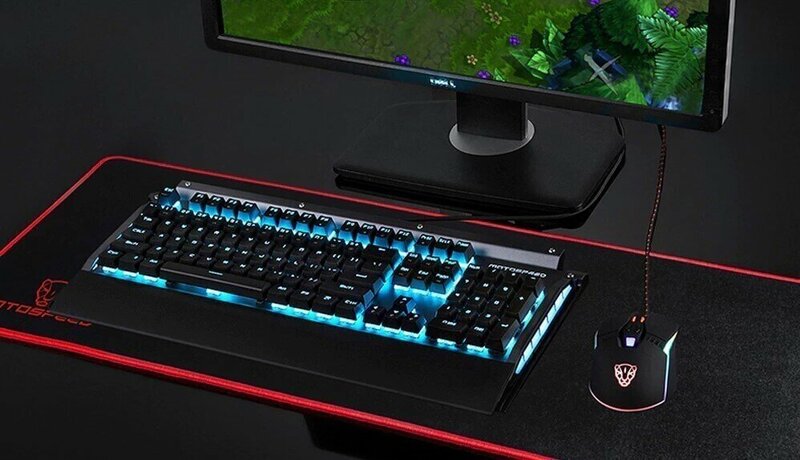 This keyboard cannot be used in an office as your boss will not allow such extraordinary overlooking keyboard which distracts they employee so basically the keyboard Motospeed CK98 will be best for Gamers programmers and other computer professionals like music producers. The Motospeed CK98 produces RGB light, Kailh BOX switch, double-color injection molding technology and 800 million times of keyboard lifespan. Feel the keyboard by pressing buttons. The kailh BOX switch is equipped with technology which reduce the extrusion of the spring under the buttons, the keyboard Motospeed CK98 is water and dust resistant, cut down the shaft oxidation time and increase the life expectancy. CK98 includes RGB per-key lighting to meet the demands of gamers. From lighting effects for different types of games, to your own custom uniquely programmed palette of colors, you can effortlessly enhance your gaming experience in a way that is unique only to you. 104 keys, built-in game chip, advanced mechanical switch technology, crisp typing sound gives you more pleasant sensation. All-key anti-ghosting, with 0.1ms faster response speed, more fluent for playing games, perfect for game enthusiasts to fully enjoy the pleasure of games. Ensure even stricter requirements are met for each switch produced, CK98 adopts double-color injection molding technology and suspended key caps, which means that it is not discolored and more wear-resistant, resulting in a lifespan of up to 800 million keystrokes. Basically the whole keyboard is a new bunch of technology era where people are loving the keyboard to show their friends, basically the keyboard Motospeed is very much interesting in terms of gaming environment, as a gamer is likely to purchase the keyboard and even as per the report the gamers are very much interested purchasing the keyboard. Please use the comment box and tell us what you think about the keyboard if you have any queries then do submit your questions and I will take care of that.